Isohexadecane is a synthetic ingredient used as a cleansing agent, skin-conditioning agent, and a texture enhancer in a variety of cosmetics and personal care products. Isohexadecane is a member of the paraffin or alkane family of molecules. Alkanes are acyclic saturated hydrocarbons, (i.e. molecules that consist of hydrogen and carbon atoms in which all the carbon-carbon bonds are single.) According to the Cosmetic Ingredient Review (CIR) Expert Panel, alkylation is the chemical combination of two light hydrocarbon molecules to form a heavier one. This process involves the reaction of butenes in the presence of a strong acid catalyst, such as sulfuric or hydrofluoric acid. The final product is a heavier multibranched isoparaffin (i.e. isohexadecane). Alkanes are not very reactive and have little biological activity. Since the hydrogen and carbon atoms are arranged in a tree structure, they are useful for attaching more active functional group of biological molecules. Isohexadecane contains 16 carbon atoms. It exists as a clear, colorless, and odorless liquid. Isohexadecane is most often found in foundations, sun care products, lip products, deodorants and antiperspirants, and makeup removers. Isohexadecane functions as a solvent, cleansing agent, skin-conditioning agent, and a texture enhancer in cosmetics and personal care products. As a skin-conditioning agent, isohexadecane softens and smooths skin without leaving a greasy residue thanks to its rich and creamy texture. Its texture also makes it an excellent solvent that is used in makeup removers to dissolve and remove all traces of makeup. As a texture enhancer, isohexadecane creates a very creamy, thick formula. Even though this ingredient helps to produce a rich texture, isohexadecane leaves a non-greasy, light and silky feeling on the skin. It provides a powder-like finish. 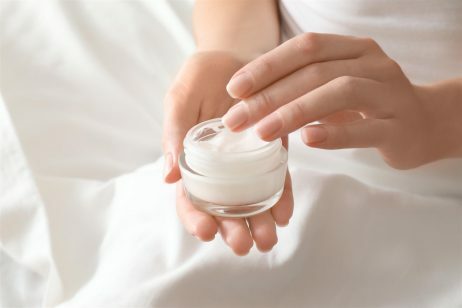 According to skin care expert Paula Begoun, “the size of isohexadecane keeps it from penetrating too far into the skin, so it can be a good ingredient to keep other ingredients, like certain antioxidants, on skin’s surface.” This also allows isohexadecane to form a protective barrier on the surface of skin, keeping good things, like moisture and nutrients, locked in and bad things, like irritants and pollutants, out. According to EWG, isohexadecane is rated as a 1 on a scale of 1 to 10, with 1 being the lowest health risk and 10 being the highest. The safety of isohexadecane, as well as the other isoparaffin ingredients, has been assessed by the Cosmetic Ingredient Review (CIR) Expert Panel. 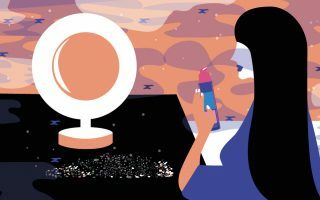 The CIR Expert Panel evaluated that scientific data and concluded that these ingredients were safe for use in cosmetics. A study was published in the journal Contact Dermatitis in 2004 that concluded that isohexadecane does not cause contact dermatitis. Since isoparaffins are derived from petroleum, there is concern for contamination with 1,4-dioxane, a substance known to potentially contribute to some cancers. In fact, 1,4-dioxane is a known animal carcinogen that penetrates readily into the skin. 1,4-dioxane has also been linked with skin allergies and is a kidney toxin, neurotoxin, and a respiratory toxin. Despite these concerns, the potential presence of 1,4-dioxane can be controlled through purification steps to remove it before blending isohexadecane into cosmetic formulations. References: Wikipedia, “Alkanes”, EWG’s Skin Deep Cosmetic Database, Cosmetics Info, “Isohexadecane”, Organic Consumers Association, “1,4-Dioxane and Cosmetic Safety”, Cosmetic Ingredient Review, C13-14 IsoParaffins as used in Cosmetics, 2010, Contact Dermatitis. 2004 Apr;50(4):256-7.